One of the most predictable patterns in a free market is consolidation. It signifies that a market has become valuable and competitive. However, consolidation can be unpredictable for the companies involved and customers who depend on their products and services. Martech is no exception to this trend. By most accounts, we have entered a consolidation phase that, at the surface, seems like it will create more corporate compost than corn. Martech buyers feel hesitant to spend serious money on solutions destined to nourish the soil. But, if we investigate deeper, we might find something very familiar and predictable about martech’s consolidation. We could randomly shuffle these lines among the three companies without changing the meaning of their news. They’re all out for deeper data and insight. 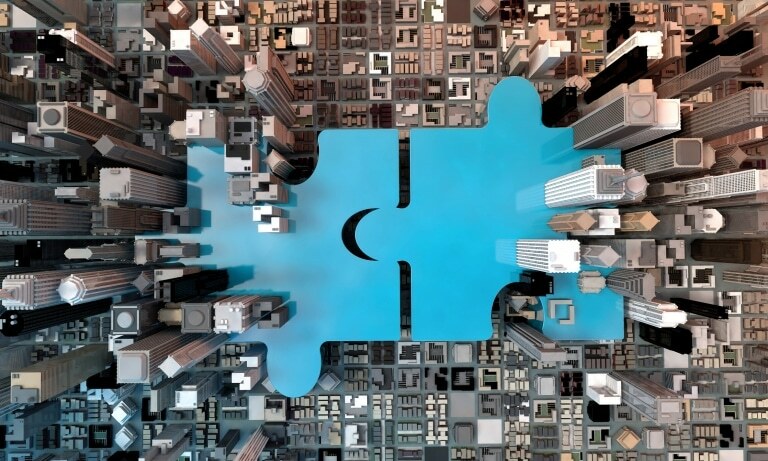 But, consolidation has another face: the tangled blur of new integrations, announced daily on PR newswires, that make independent companies more interdependent. Whether through M&A or integration, martech companies seem to be converging towards one goal: to create a so-called “central source of truth.” Whether doing so provides a temporary or long-term competitive edge is the big, unresolved question for all digital technology. It’s a remix of an old question about the openness or closedness of systems: the Jeffersonian versus Hamiltonian debate. For those of who you aren’t tech and history nerds, a quick review. Thomas Jefferson, the primary author of the Declaration of Independence and third U.S. president, favored a decentralized federal government that prioritized the rights of states and the common man over moneyed interests. Alexander Hamilton – the one played by Lin-Manuel Miranda and killed by Aaron Burr – preferred a strong central government. He got on well with bankers and manufacturers. Before firing Steve Jobs, Apple was Hamiltonian. When the iPhone and App Store opened Apple’s gates to third-party developers, the company became far more Jeffersonian. Brinker imagines, “The result could be a market that is effectively consolidated at the platform level, yet splendidly diverse in the number of specialized products available to plug into those platforms.” It’s enticing and mirrors Brinker’s enthusiasm (and annual awards) for interesting martech ‘stacks’ that fit this vision. Jeffersonian martech wants a healthy ‘long tail’ of little companies – something you don’t see in markets like insurance, automobiles, and oil, where the costs of production and risks of failure are too high for small players. Hamiltonian martech wants big platforms that centrally manage an otherwise unwieldy, inefficient market of data sources, services, and tools. If Brinker’s argument is right, we’ll have a Jeffersonian Insights Economy but Hamiltonian firms and ecosystems. Each company will decide which data sources should be plugged into an overarching platform. Underlying this Jeffersonian data architecture will be a healthy Insights Economy, spurring the production of data into insights and subsequent sale of this intelligence. The Hamiltonian firms – Salesforce, Marketo, Terminus, and their peers – will fit somewhere on the spectrum between blockchain radicals and 1990s Apple. If we take their press releases at face value, it seems that the most ambitious platforms want to produce data and insights that ground an entire business. Marketers and salespeople – and eventually everyone in a corporation – will consult one unified data platform. One “central source of truth,” if you will. Here’s the curveball though. Ultra-Jeffersonians, encouraged by advances in crypto technologies, could push for all data everywhere to be open and pluggable. If data and quality AI tools are open-sourced and available on the blockchain – along with myriad apps – must a company put a square peg into one round platform? The multibillion-dollar ecosystems could find themselves in the position of Microsoft, which for years resisted open source development. Of course, Microsoft had a ‘lightbulb’ moment in 2016 when it went open source and, as if to prove it belongs in the cool kids club, bought GitHub in June. The point is that martech won’t resolve its Jeffersonian-Hamiltonian conflict, and that is for the best. The essential tension – between centralizing and decentralizing forces – has powered U.S. culture, government, and entrepreneurship for centuries. If martech consolidation reconfigures our industry to resemble a society that, overall, has been wildly successful and emulated globally, that’s something to celebrate. Maybe consolidation is part of our society’s DNA. Maybe it’s the way we unintentionally refine markets to fit the visible and invisible values that shape American commerce. Maybe this phase in martech doesn’t have to be unpredictable. We’re just doing what other great industries have done before us.